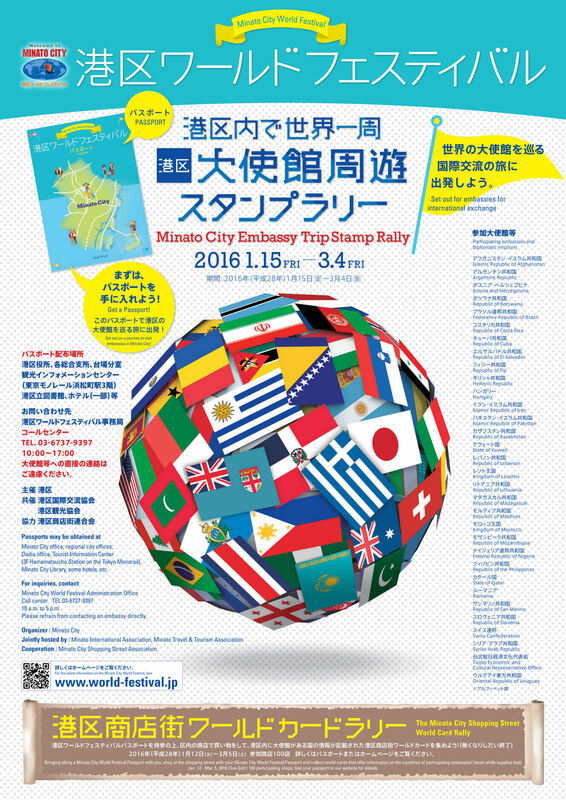 Tokyo's Minato-city is the most international district in Japan and home to many diplomatic missions. 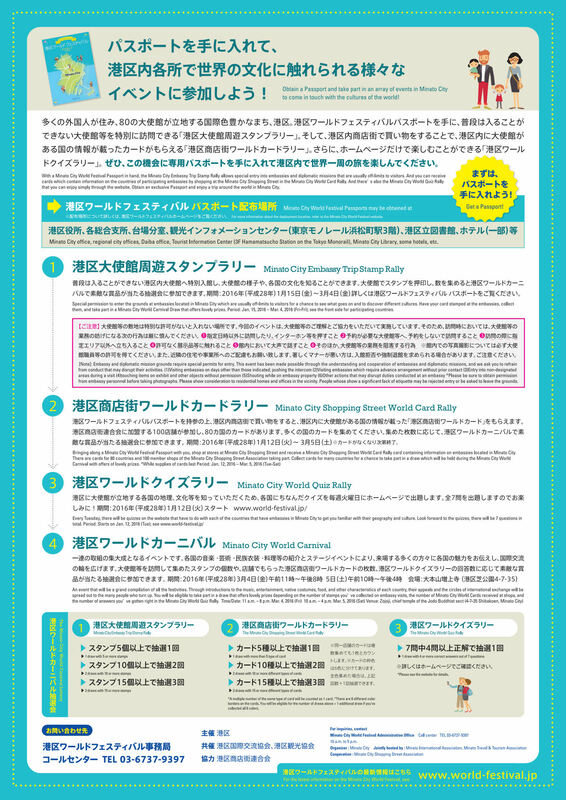 The Minato-city office is taking an opportunity to organize the Minato-City World Festival to facilitate cultural exchange with the embassies based in the Minato-city. 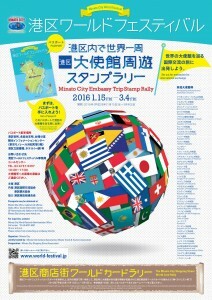 The Embassy of Namibia is participating in the World Carnival Event from 4 to 5 March 2016 at the Zojoji temple (4-7-35 Shiba-koen, Minato-ku, Tokyo) in Tokyo. The embassy will display the beauty of Namibia and share all the relevant information for all potential tourists to our beautiful country. 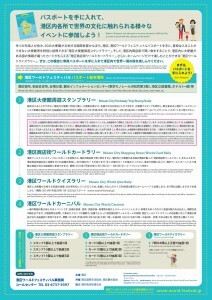 Also information on an exciting future event will be shared by the Embassy to all that visit our booth. Please come and visit our booth!